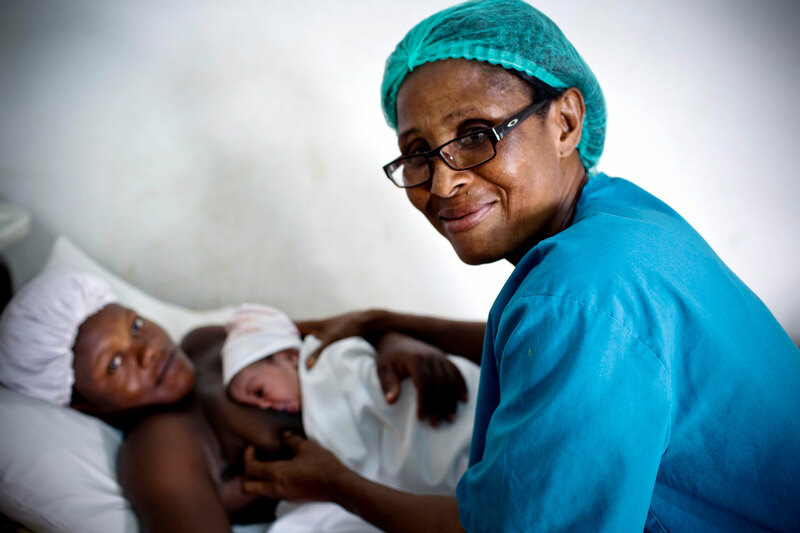 Women and their babies are dying from preventable complications before, during and after childbirth. Many of these complications can be treated with simple and affordable solutions. Jhpiego works with its partners to increase the number of women and families who have access to high-quality, skilled care that can prevent these deaths. As a result of our capacity-building efforts, from 2013–2017, 9.2 million women gave birth with a skilled provider in Jhpiego-supported programs in 25 countries. During the same 5-year period, 285,113 newborn babies were successfully resuscitated in Jhpiego-supported health facilities in 15 countries. Countries with high fertility rates often have high maternal and infant mortality rates. Since 1979, we have worked with more than 150 countries throughout Africa, Asia, the Caribbean, Europe, Latin America and the Middle East. Focus on quality of care and results: We help country-led programs build local capacity to measure and track their own progress in providing high-quality care to women and infants. Research has shown that giving birth in a health facility with a skilled attendant is by itself not enough to reduce maternal and newborn deaths.4 Improving the quality of care that families receive is critical for accelerating reductions in preventable maternal and newborn deaths.5 This means focusing on both the delivery and the experience of care, including respectful maternity care. Helping Mothers Survive and Helping Babies Survive. Jhpiego participates in a consortium of global partners to provide and promote these training programs that provide evidence-based learning modules designed to improve and sustain the skills of midwives, nurses, doctors and those who provide direct care during pregnancy, labor and delivery. Inter-Agency Working Group on Reproductive Health in Crises. Jhpiego serves on the steering committee and the committee to revise the IAWG’s manual. We also provide technical resources for organizations working to improve the availability and quality of reproductive health services in crisis-affected countries. Partner with others: We partner with ministries of health and hundreds of international and local organizations, including professional associations, and with private sector partners, including the Bill & Melinda Gates Foundation, the GE Foundation and Laerdal Global Health. 1 World Bank. 2017. Reproductive, Maternal, Newborn, Child, and Adolescent Health. 2 WHO. 2016. Fact Sheet: Maternal mortality. WHO. 2018. Fact Sheet. Newborns: reducing mortality. 3 USAID. 2018. Maternal and child health. Scott S, et al. 2017. Effect of maternal death on child survival in rural West Africa: 25 years of prospective surveillance data in The Gambia. PLoS ONE 12(2): e0172286. 4 Souza JP, et al. 2013. Moving beyond essential interventions for reduction of maternal mortality (the WHO Multicountry Survey on Maternal and Newborn Health): a cross-sectional study. The Lancet. 381:1747–5. 5 WHO. 2018. Quality, equity, dignity: the network to improve quality of care for maternal, newborn and child health-strategic objectives.